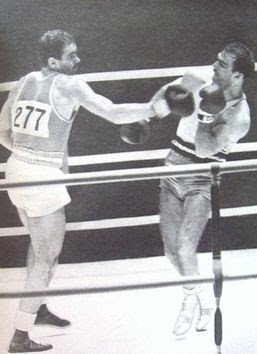 On this day in sport boxing legend Ričardas Tamulis secured a spot in his first Olympic final during the midst of Lithuania’s dominance in the ring under Soviet occupation. 50 years ago today Ričardas Tamulis secured his spot in the 1964 Olympic welterweight final in Tokyo, Japan. Tamulis showed prominence as a fighter from as far back as 1953 therefore the 26-year-old had risen in popularity by the time he was to compete in the 1964 Welterweight Gold medal match. This event also allowed for the Western world to observe fighters at the Tokyo tournament, a demographic of competitors which had previously been hidden behind the iron curtain. Bruno Guse was Tamulis’ first opponent for the tournament, a leading German fighter who was born weeks before Adolf Hitler and Joseph Stalin signed their famous 1939 Nazi-Soviet pact. However the German would be no match for Tamulis who had triumphed 5:0 in the Round of 16. The Lithuanian then displayed his dominance against Ugandan Ernest Mabwa before conquering Finland’s Pertti Purhonen, the eventual Bronze medalist, on this day in sport. Unfortunately, the Kaunas born Tamulis would be unable to reach the top of the podium; defeated by Marian Kasprzyk (Poland). 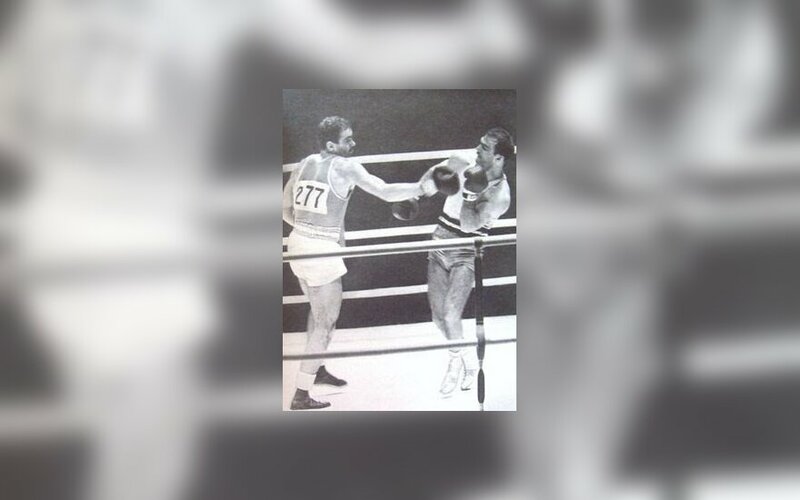 Nevertheless his Silver medal holds sentimental value within Lithuania’s boxing community as he was coached by 1952 Olympic fighter, and Lithuanian legend, Algirdas Šocikas. The following year Tamulis claimed his third straight European Welterweight title adding to his five Soviet Championships (1959, 1961-62, 1964, 1966) and two bronze finishes (1963, 1967). More importantly, the Kaunas born athlete was a six time recipient of the Lithuanian Welterweight title (1957-59, 1961, 1963-64) before finishing his amateur career in 1967 with a remarkable 243:14 win loss ratio. Just as you think these statistics are impressive then you must cast your eyes on his work as a coach for Lithuania’s rising stars in the 1970s and 1980s; still under Soviet occupation. The Lithuanian naturally returned to fighting, this time by hitting the political ring in the early 1990s where he used his popularity to gain support of Lithuania’s Independence. Tamulis passed away in 2008 a few months before his 70th birthday. Fittingly, he was joined in Petrašiūnai Cemetery by Šocikas; continuing a relationship which will be celebrated by Lithuanians in the generations to come.